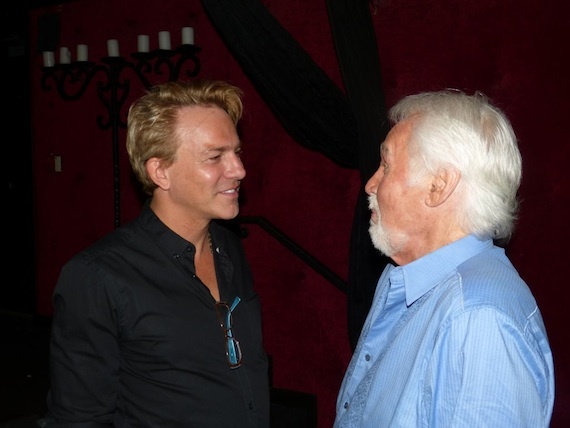 A capacity crowd turned out to hear music icon Kenny Rogers recount his Hall of Fame career at Leadership Music’s popular Off the Record series on Thursday (Sept. 26) at Nashville’s Sambuca restaurant. 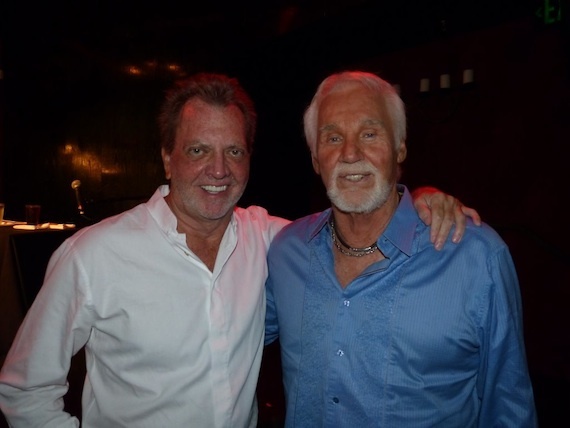 Radio Hall of Fame broadcast personality, Gerry House, hosted the 60-minute career retrospective, which ranged from Rogers’ legendary chart-topping songs to his twin 9-year-old sons. 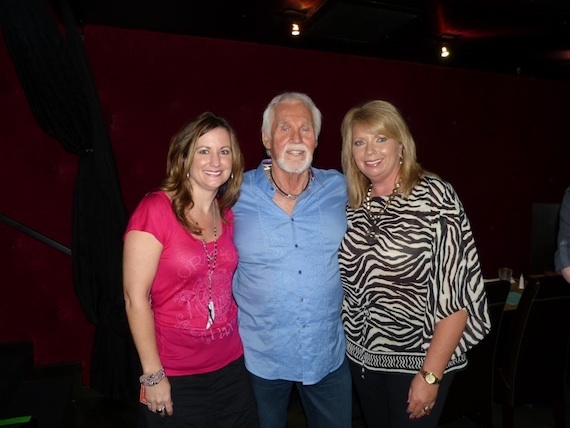 Pictured (L-R): Former Leadership Music President Lori Badgett, Kenny Rogers, and Diane Pearson, President-elect of Leadership Music. 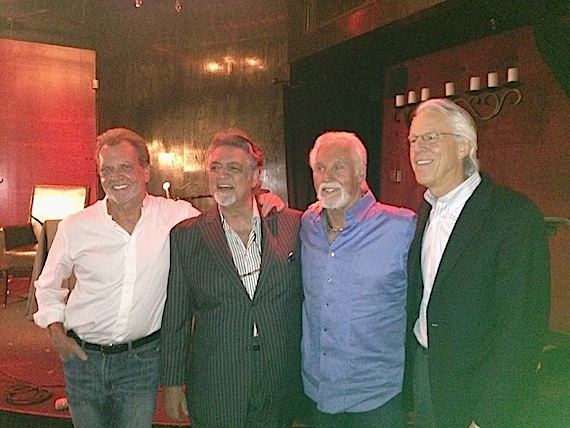 Pictured (L-R): Gerry House, Leadership Music Founding Council member Joe Moscheo, Kenny Rogers and Leadership Music Founding Council member Jim Ed Norman.